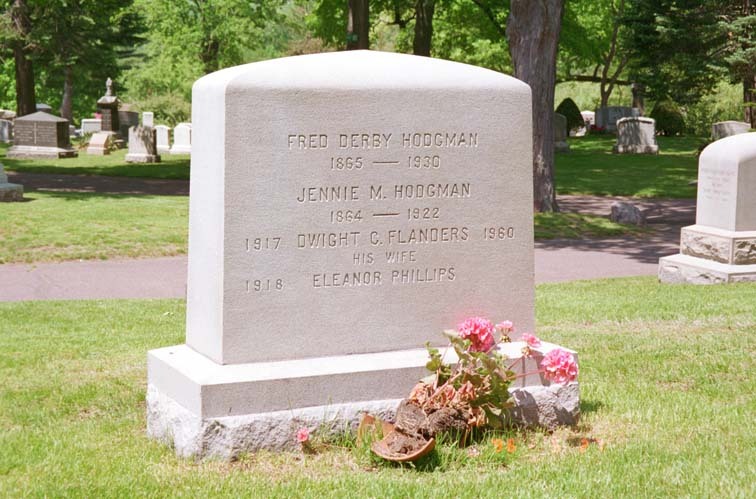 I had two destinations in Malden - the cemetery where James and Jane Scales are buried and 12 Vernon St., the home of Mary (Hodgman) Mayo, Herbert Hodgman's sister. I looked in vain on the local map for Forest Hills Cemetery in Malden. I found Wooddale Cemetery which was beautiful on the bright spring day. The office was closed so I toured around looking at tombstones. There was no Scales plot but I did find a Hodgman plot. This is the tombstone of Fred D. Hodgman (George, George, Willard, Reuben, Benjamin, Thomas, Josiah, Thomas) and his wife Jennie M. Cragin. It is in section 12 of Wooddale Cemetery. I don't know who Dwight Flanders or Eleanor Phillips are. I looked in vain at other cemeteries in Malden for James and Jane Scales. I barely avoided being bottled up by the Memorial Day parade. I then decided to look for 12 Vernon St., the home of great-grandfather Herbert Hodgman's sister Mary (Hodgman) Mayo. I found Vernon St. and this house, but there was no number visible. 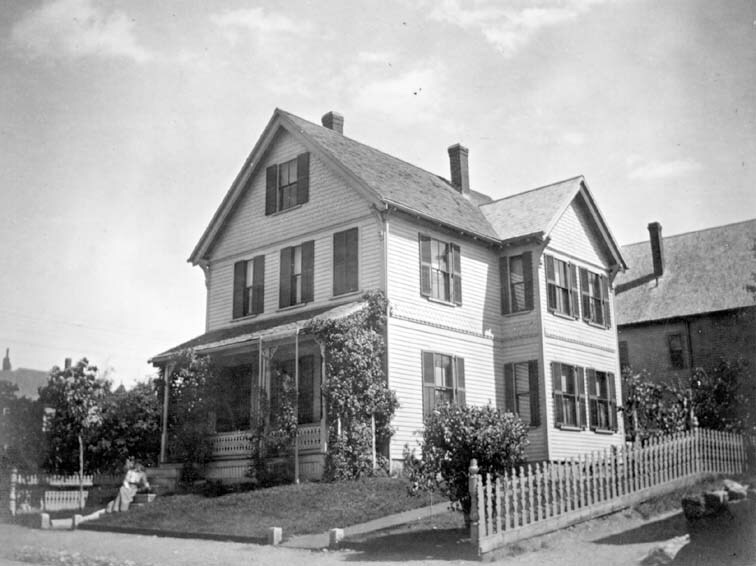 The house looks very similar to Alice Hodgman's photo from 1901, below. 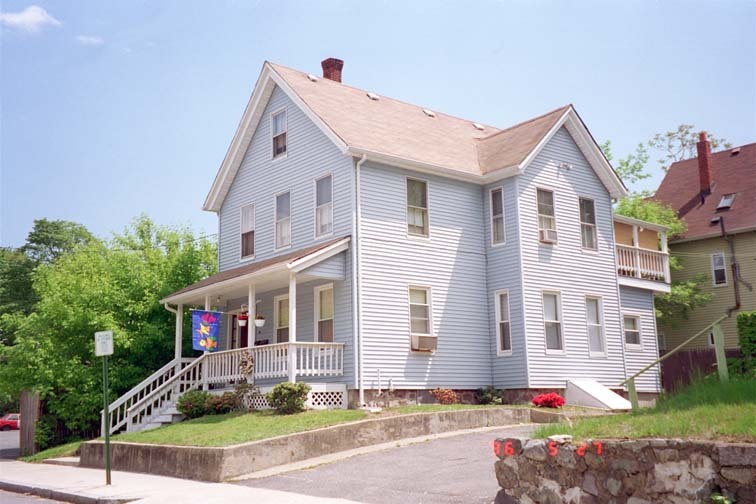 Home of the Mayos, 12 Vernon Street, Malden, Mass. Taken June 11, 1902. Notice the functional shutters on the second story windows in the front - one set is closed; others are half closed. 1 Hodgman, Fred C., HODGMAN: A Partial Genealogy fo the Hodgman Family, 1916, Valley Falls, R.I., p. 268, NEHGS G HOD 837.